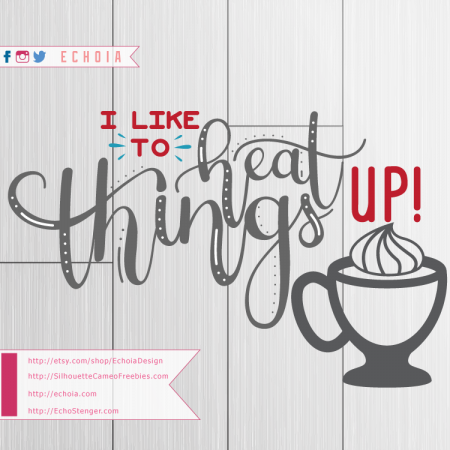 Your friendly freezing freebie-maker is back with another new cuttable. Like many others across the country, we are getting hit with rounds of snow storms. The Keurig is running, cups are steaming, the kitten is cuddling. It isn’t as cold as it was at Christmas, but it sure looks a lot more wintery! This hand-lettered cuttable is pretty straightforward. I designed it in Adobe Illustrator on my Surface Pro using my Surface Pen (still my preferred lettering combo, links in the footer, all the way at the bottom of the page). I may make another version of this- I’m inspired by our hot drinks, but that won’t last forever, right?